1.) Philosophy Orange in Bloom Shampoo, Shower Gel & Bubble Bath: Philosophy’s line of multi-tasking hair and body cleansers often come in limited-edition or seasonal variations, and the generous 16 oz. Orange in Bloom variety should last until flip-flop weather rolls around. 2.) Fresh Sugar Rose Tinted Lip Treatment SPF15: Blushy lip hues are flattering to all skin tones, and this citrus-flavored formulation also has a hint of rose- a natural foil for orange and lemon scents. 3.) Jurlique Citrus Purifying Mist: Spray toners are a great way to freshen up, set makeup touch-ups or of course, bridge the cleansing and moisturizing steps of your skincare routine. In addition to essential oils of lemon and tangerine, Jurlique Citrus Purifying Mist has witch hazel and marshmallow to balance and hydrate skin. 4.) Eminence Citrus Lip Balm: This spa favorite can pair up with any color of lipstick or stain and locks in moisture with shea butter. Citrus oil, lemon balm, lemongrass oil, papaya and pineapple are among a list of pure but comprehensive exfoliating and moisturizing ingredients. 5.) L’Occitane Citrus Verbena Sorbet Body Cream: Clad in L’Occitane’s French-farmhouse style packaging, Citrus Verbena Sorbet Body Cream is fluffy, luxe and fresh. Lemon extract, grapefruit and verbena are the plentiful citrusy elements here- apply after bathing for full skin-softening benefits. 6.) Cake Citrus Squeeze Sinfully Smoothing Brown Sugar Scrub: One of the legacies of winter is dry, flaky skin. Even if you religiously moisturize each time you wash your hands or take a shower, skin can still lose surface moisture at a frustrating rates. Cake Citrus Squeeze Sinfully Smoothing Brown Sugar Scrub comes in a super-sized 21 oz. jar and has hints of vanilla and a sweet turbinado brown sugar base- which smell heavenly and gently slough off excess skin cells. 7.) Simpatico Solid Perfume #45, Coral: A retro-style tin not unlike the classic Smith’s Rosebud Salve, Simpatico Solid Perfume #45 at Anthropologie is comprised of rich beeswax, jojoba and reparative Vitamin E. Vetiver, citrus and ruby pomegranate notes are tempered by balancing musk. Which citrus products do you reach for when you want to feel springy? Just in time for the Holidays: Club Monaco and Fresh! 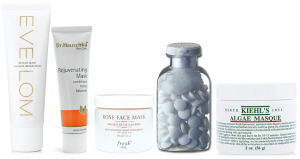 Club Monaco and Fresh have collaborated together just in time for the holidays. 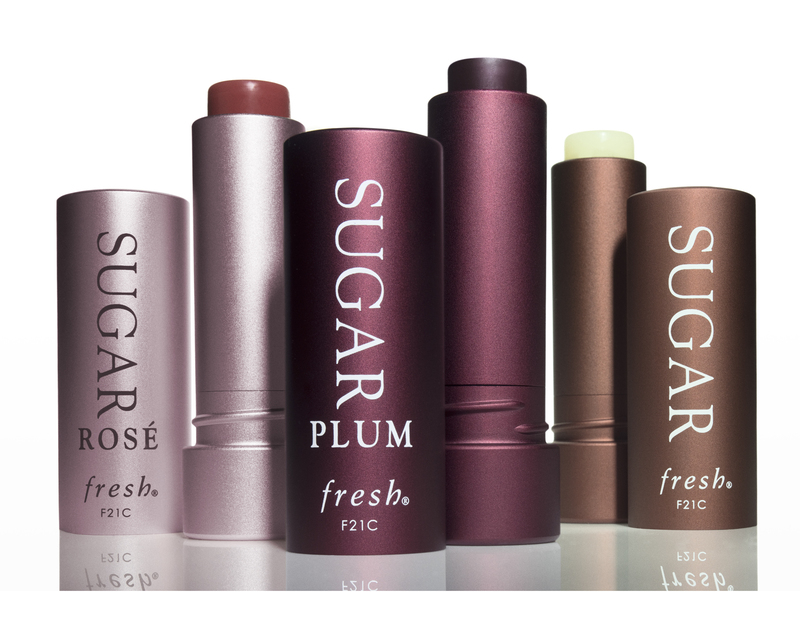 Club Monaco will carry the complete Fresh Sugar Lip Treatment Collection as well as a special limited-edition Sugar and Sugar Rosé Lip Treatment Duo. Fresh lip treatments give just a hint of color (or not) while nourishing the lips with hydrating butters and oils; they’re also lightly scented and smell pretty amazing! So while you’re picking up a few gifts at Club Monaco grab the Sugar Lip Treatment Collection, it’s a great stocking stuffer for the lady in your life. The Sugar Lip Treatment Collection (Sugar, Sugar Rosé, and Sugar Plum; $22.50 each) and the exclusive Sugar and Sugar Rosé Lip Treatment Duo ($45) are now available in select Club Monaco stores.